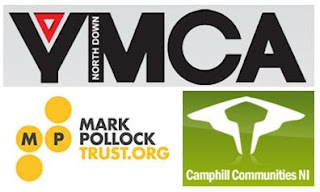 Three charities I will be working with during my year as Mayor under the Mayoral Theme 'Working as One' are North Down YMCA, Camphill Communities NI and Mark Pollock Trust. Working as One we can create a home for everyone, reaching out, supporting and celebrating a range of work taking place across North Down. I look forward to organising a range of exciting and innovative events to raise money for the Charities and awareness of their work and the issues they champion. Every year the Mayor adopts up to three charities and puts together a charity committee with representatives from each charity. Camphill Communities NI are inclusive and mutually supportive Communities which provide homes and meaningful activities for people with learning disabilities. More about Camphill in this video. 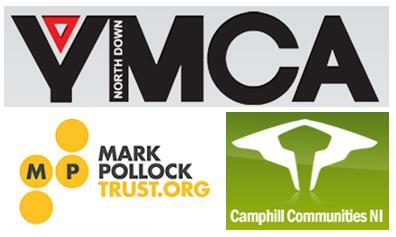 There are four Camphill Communities in Northern Ireland. Two are located within the Borough of North Down; Camphill Community Glencraig which is situated on the Southern Shore of Belfast Lough and encompasses both children and adults with learning disabilities and Camphill Community Holywood which provides residential accommodation for adults with learning disabilities and work opportunities through their award winning organic Café, Bakery and Food Store located in the centre of Holywood. A spokesperson from Camphill Communities said: “We are delighted to have been chosen as one of the Mayor’s nominated charities and very much look forward to working with Councillor Muir, during his Mayoral term, and the other named charities over the coming year. The Mark Pollock Trust are pursuing their mission in three ways: firstly, by putting the issue on a global stage through Mark's motivational speaking to corporate leaders; secondly, by creating a fundraising engine through a global running series on six continents called Run in the Dark; and finally, being a catalyst for collaboration by Mark's use of aggressive physical therapy, Ekso robotic technology and biological innovations. More about Mark in this quick video. A spokesperson for the Mark Pollock Trust said: “Mark Pollock Trust are delighted and extremely grateful to be nominated as one of the Mayoral Charities, we are sincerely grateful for this opportunity.